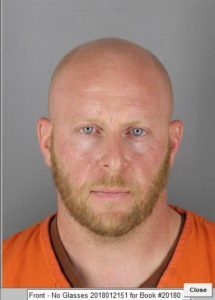 Authorities arrested a South SLO County business owner in Minnesota on Wednesday for the murder of Kristen Marti in San Luis Obispo. Robert Koehler, 36, who was identified last month as a suspect in the alleged killing of Marti, fled the Central Coast on May 2, San Luis Obispo Police Chief Deanna Cantrell said during a press conference Thursday. Koehler was located just outside Minneapolis. Federal authorities and SLO County District Attorney’s Office detectives teamed up to take him into custody. Koehler, the owner of a mobile mechanic service that operated in northern Santa Barbara and southern San Luis Obispo counties, is now in the process of being extradited back to SLO. San Luis Obispo County District Attorney Dan Dow said his office has already filed a murder charge against Koehler. Marti, 26, was reported missing on Jan. 18, after last being seen in the 1800 block of Perfumo Canyon in SLO. The San Luis Obispo woman had been missing for nearly three months when officers found a body in a creek near Perfumo Canyon during a large search of the area. The body was in poor condition at the time, and it took the coroner’s team several days to identify the deceased person as Marti. Prior to her disappearance, Marti was last seen parked in a vehicle with a man. On April 18, investigators identified Koehler as a suspect in the case. Detectives believe Koehler was the last person to have been with Marti and to have seen her alive, Cantrell said Thursday. Dow said his office filed a single charge of murder against Koehler, as well as multiple enhancements. The enhancements include an allegation of premeditated murder; the use of a deadly weapon — a cutting instrument; and having a prior violent criminal conviction. Dow said Koehler committed a carjacking in Shasta County in 2005. Authorities have not disclosed a motive for the alleged murder. An investigation into the case is ongoing. Likewise, the county coroner’s office has yet to rule on the cause of Marti’s death, though it has already determined the case to be a homicide.